Nic and I treat ourselves with takeaway once a month. 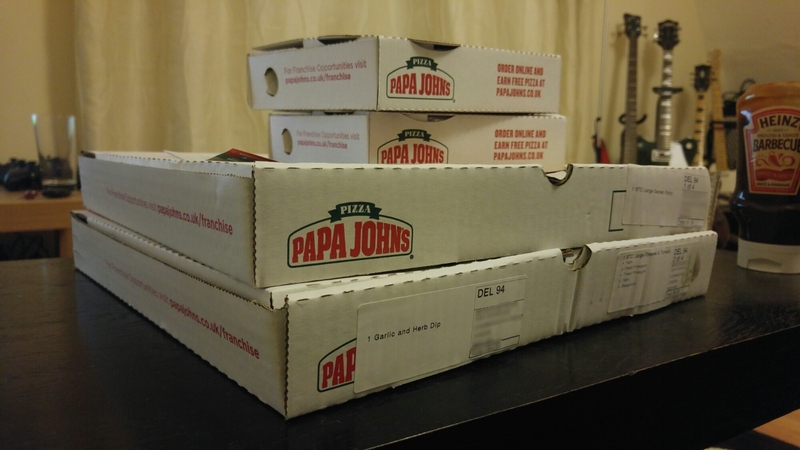 We chose Papa Johns for our Friday night February feast! We’re now basking out on the sofa, happy, but with big bellies.. Worth it! Cycling to work was surprisingly easy today after yesterdays run, I even managed a cheeky full body workout at lunch! So pleased it’s the weekend though for a nice break. Happy weekend everyone!